"Thank you" to everyone who followed our new traffic pattern at the High School. 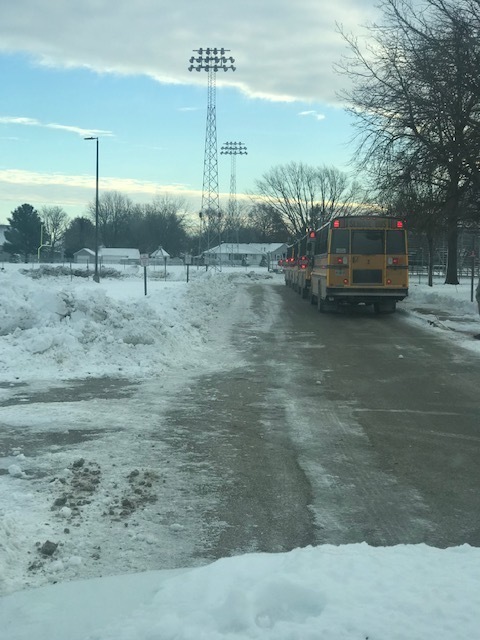 I was on-site and very much appreciate that everyone used the proper entrance and exits, no one passed a stopped school bus, and almost every vehicle in the main drive was in unloading-mode only. Please remember that the main drive in front of the HS is for loading and unloading only. If you are planning on or need to wait for your student, or their bus, please park in the parking lot. Buses will stop to unload and load along the right-hand lane near the East end of the front drive (as pictured).